Bring It! Live Newark Tickets - 7/13/2019 - New Jersey Performing Arts Center - Prudential Hall at Stub.com! Fourth Tier, Rows A-M. Fourth Tier Boxes. . Tickets will be ready for delivery by Jul 09, 2019. Third Tier, Rows A-F. Third Tier Boxes. . Tickets will be ready for delivery by Jul 09, 2019. Second Tier, Rows A-F. Second Tier Boxes. . Tickets will be ready for delivery by Jul 09, 2019. Grand Tier, Rows A-E. Grand Tier Boxes. . Tickets will be ready for delivery by Jul 09, 2019. First Tier, Rows A-G. First Tier Boxes. . Tickets will be ready for delivery by Jul 09, 2019. Center Orchestra, Rows AA-FF & Q-V. Right & Left Orchestra, Rows AA-FF & A-V. . Tickets will be ready for delivery by Jul 09, 2019. 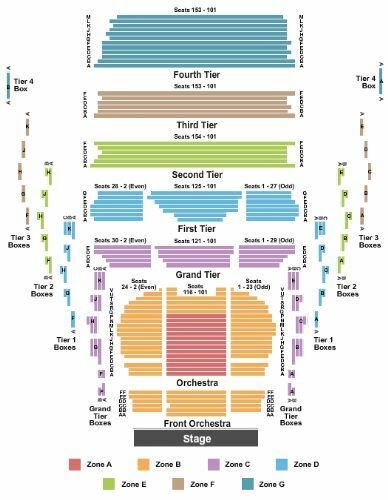 Center Orchestra, Rows A-P. . Tickets will be ready for delivery by Jul 09, 2019.